Looking for the perfect gift for one of the little girls in your life? We're excited to be partnering with SmitCo to check out their gifts for girls, including the Mermaid Scented Secret Scrapbook! 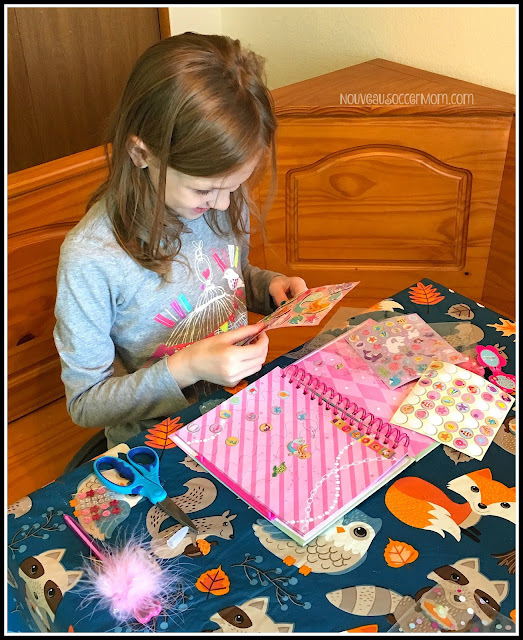 I've always loved crafting with my kids and I love gifts that inspire this kind of creativity. I invited my friend, Shelby, over to help me test out this cute kit. 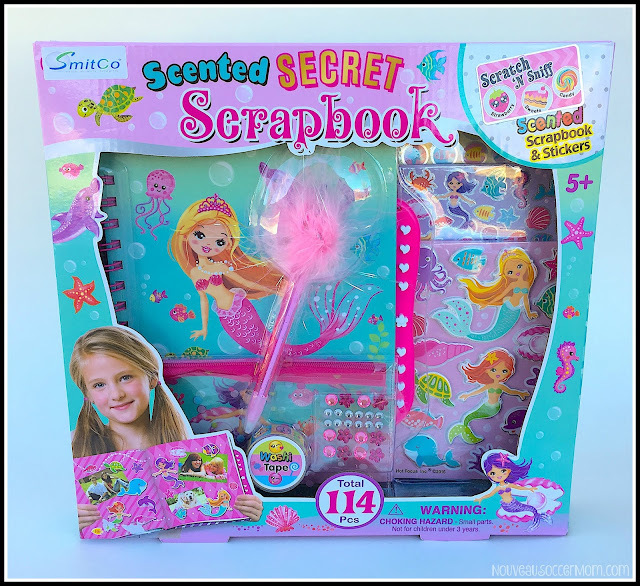 There's so much to love about the Mermaid Scented Secret Scrapbook, from the actual scrapbook elements all the way to the passcode lock. The scrapbook pages themselves are various patterns, perfect for adding photos, doodling, or writing. 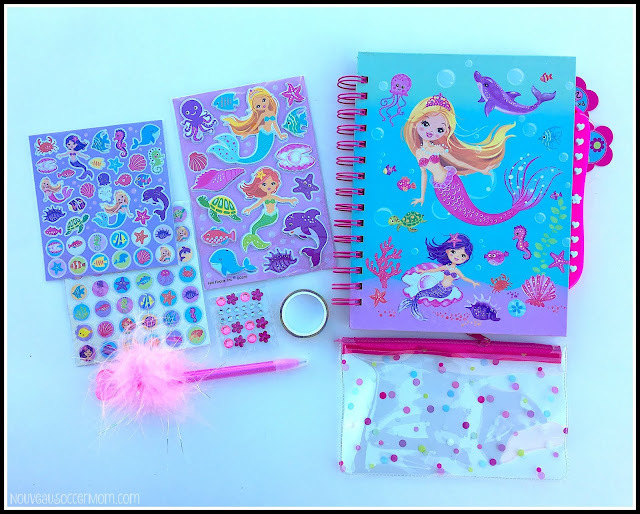 There are also plenty of stickers to add designs to the pages, including 3-D mermaids, jewels, scented stickers, even a roll of craft tape, to attach photos into your book. 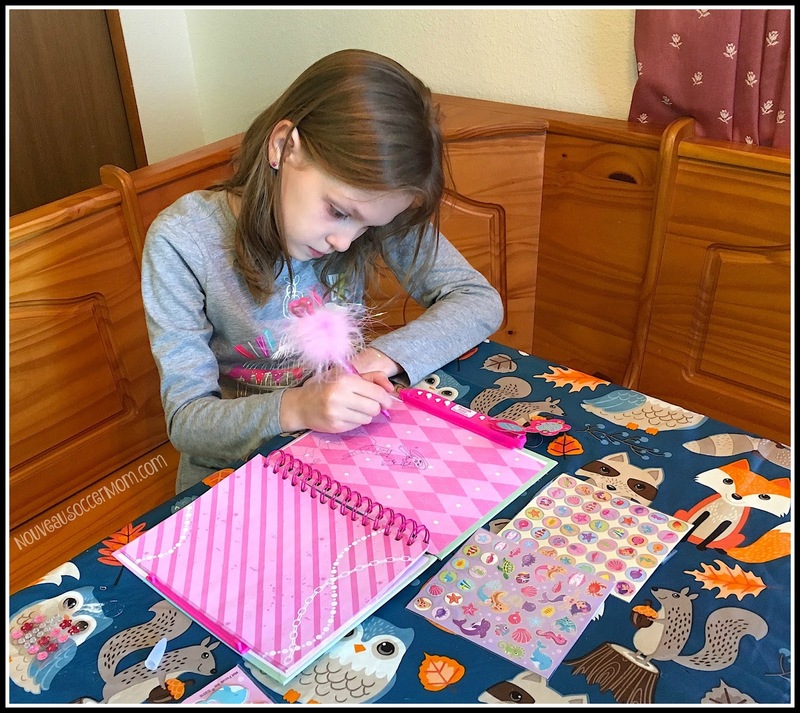 The included pencil pouch is great to store all the elements of the kit and the feather pen is just super fun to write with. Shelby had a lot of fun creating her pages too. 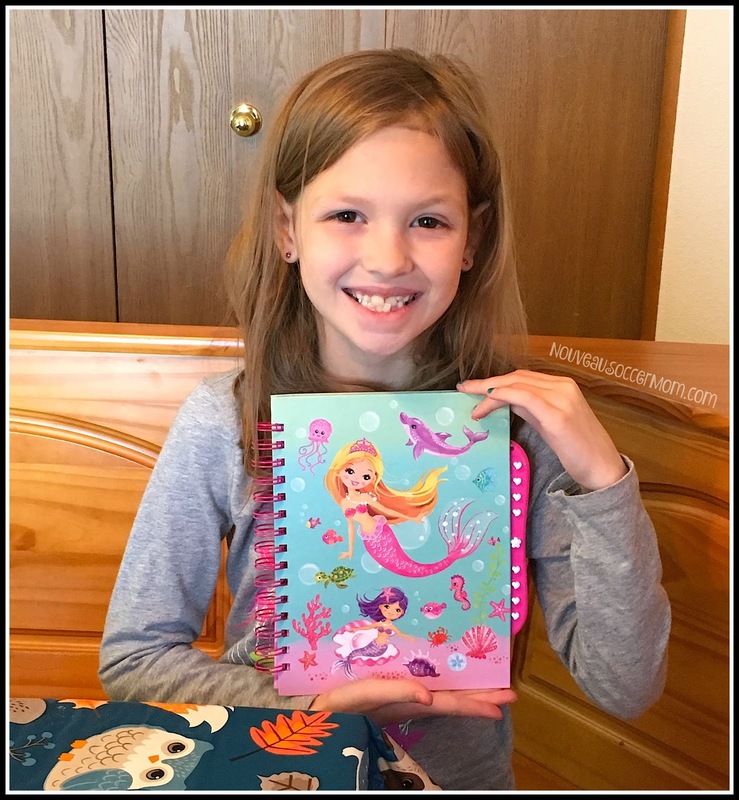 She used the stickers to create stories and drawings about mermaids and their friends, adding scenery and other mermaids. We printed her picture on our mini printer so she could make a page for herself. She even designed some other drawings the we matted and added to her book. And she still has pages left to fill with other photos and drawings! I was impressed at how much room the book had to fill. Everything you need to start scrapbooking is included, just add pictures! We really think it would be a perfect Christmas surprise. We have a special offer for our readers too! Receive 20% off your entire cart of SmitCo gifts. Head over to Amazon and use coupon code N3CQD6AE at checkout.